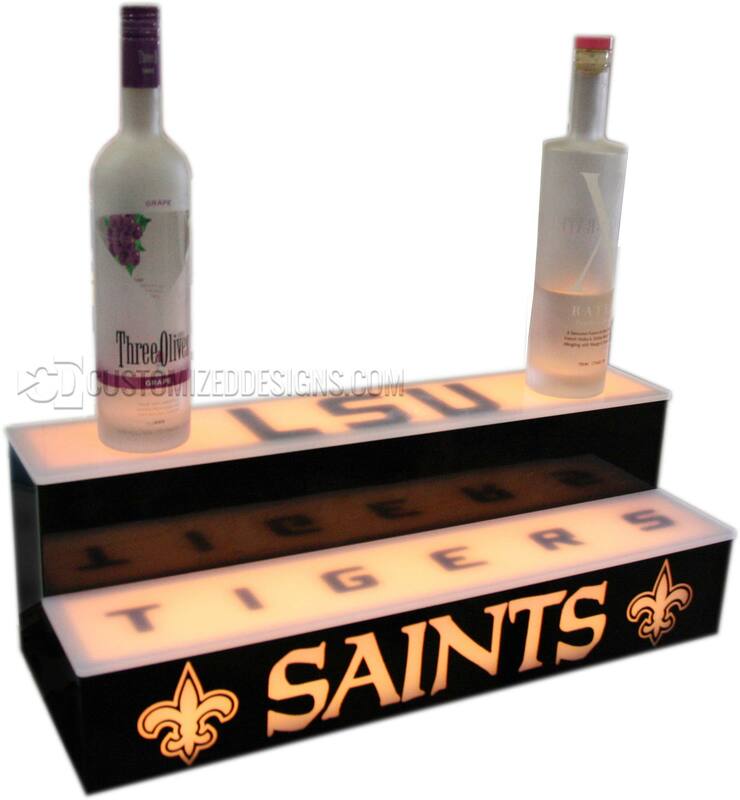 This is a custom 2 tier home bar display we did for a huge Louisiana football fan. The front of the display has a standard lighted Saints logo. The LSU logos in the shelves are actually done by printing the letters on the opposite side of the acrylic shelves which blocks out the lighting to create the effect.